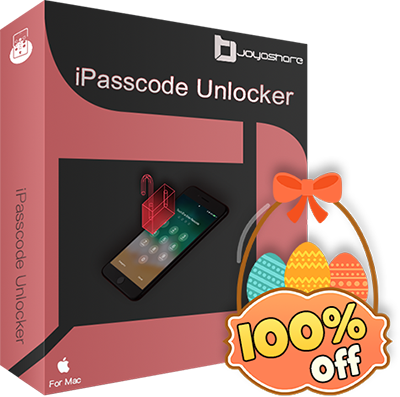 Joyoshare iPasscode Unlocker is an efficient iOS unlock tool to help users remove lock screens on iPhone, iPad and iPod touch within a few minutes. No matter it's a 4-digit/6-digit or other numeric passwords, Touch ID or Face ID, the program can crack it effortlessly. Now the software is totally free of charge. Anyone can get it as long as he/she has shared this promotion page to his/her own Facebook or Twitter account, then he/she will receive a free license code from Joyoshare. It's so easy to get the giveaway.